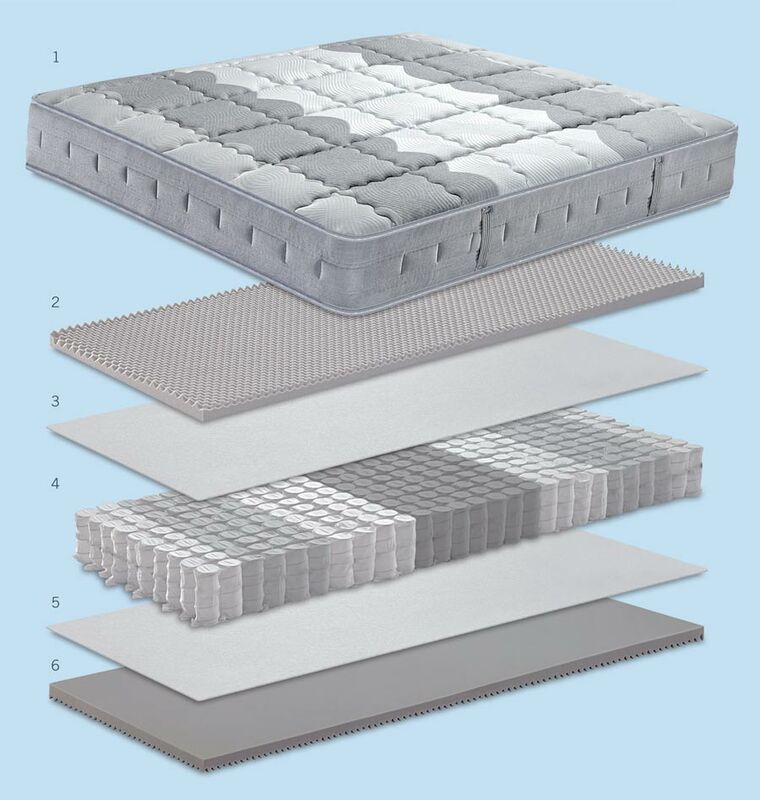 Ergopedic mattress with pocketed springs: 7 different load-bearing zones and Orthopedic Box System for a firm yet ergonomic support. 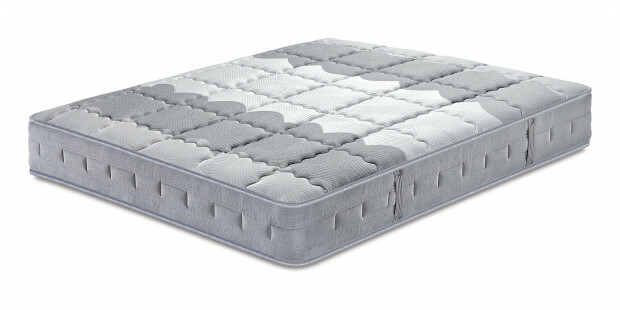 The Ergopedic pocketed sprung mattress is supplied with a 7-zone classic spring system: combined with Box Orthopedic System, it guarantees a firm yet ergonomic support for a regenerating rest, night after night. 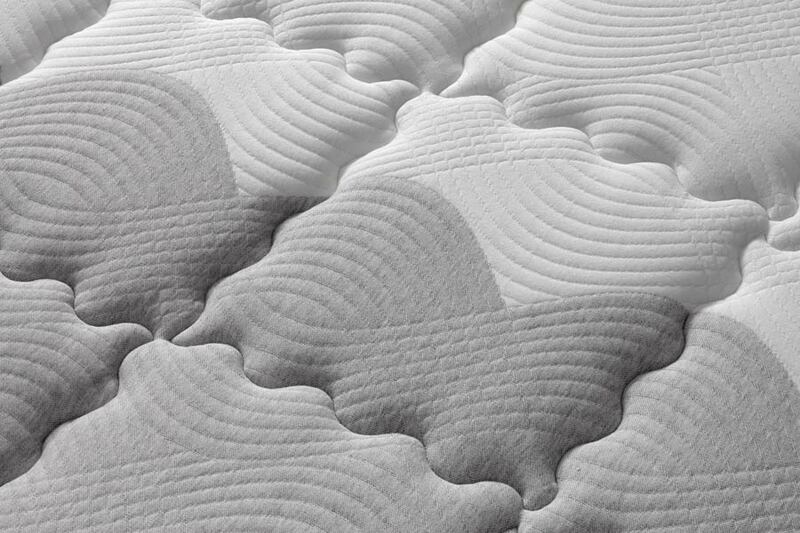 Ergopedic presents a cool and modern shape thanks to a warm and welcoming fabric, enhanced by a wide and airy quilting. External liner in Bielastic stretch zone fabric. Box plane made of foam with with extra “Comfort Profile” load-bearing capacities. 7-zone spring system with Support Flex System containment. 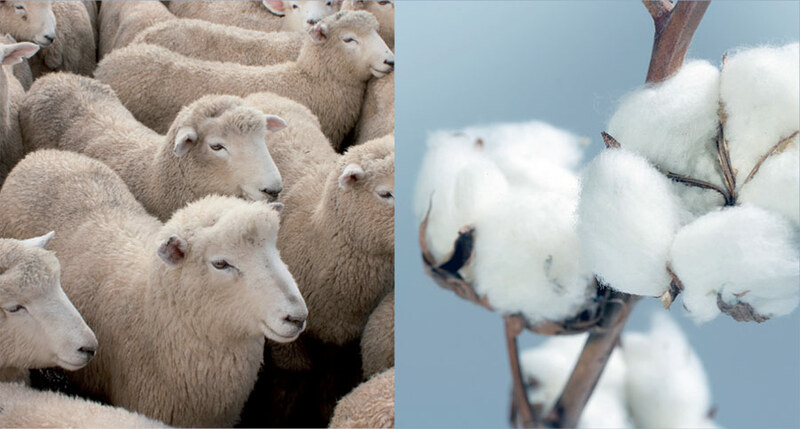 IIndependent springs with 7 different stiffness zones which allow a targeted and personalised anatomical choice ensuring an ergonomic support. 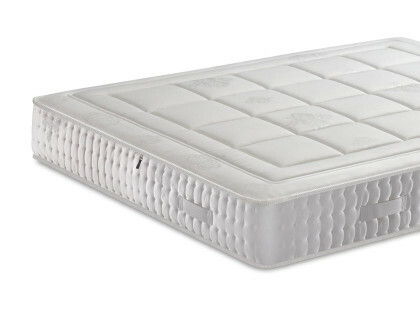 Bielastic stretch fabric that improves the ergonomics and breathability of the mattress. 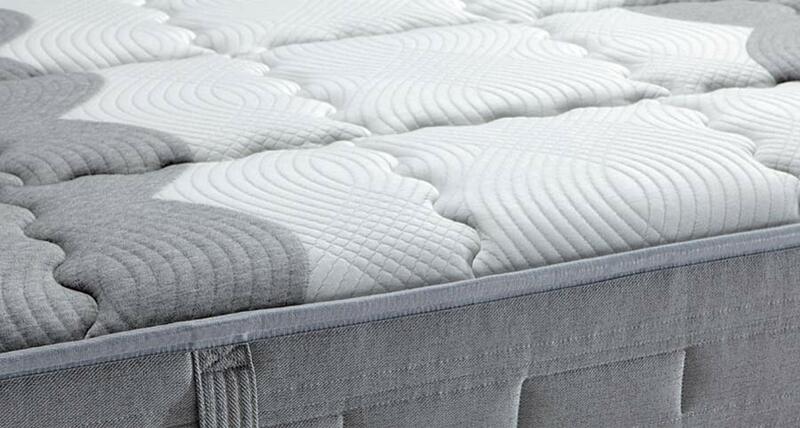 The quilting characterised by large squares on the liner enhances the fabric’s comfort and elasticity. 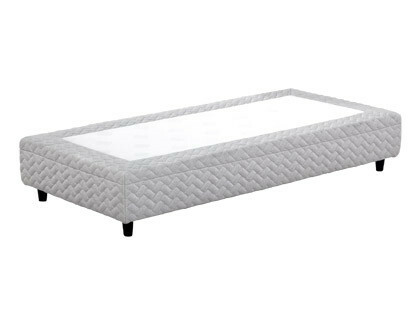 A quality furniture, also customizable to match your Ergopedic pocketed spring mattress, perfect for enhancing its features. 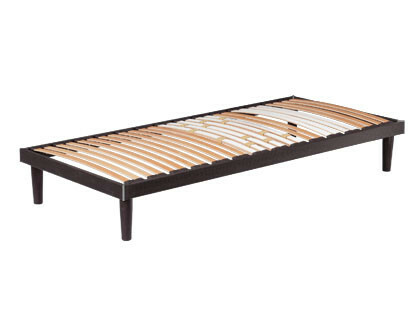 BoxSpring is a bed base with 7 spring zones made of 400 pocketed springs (single size) which allows to have a liner matching Ergopedic.